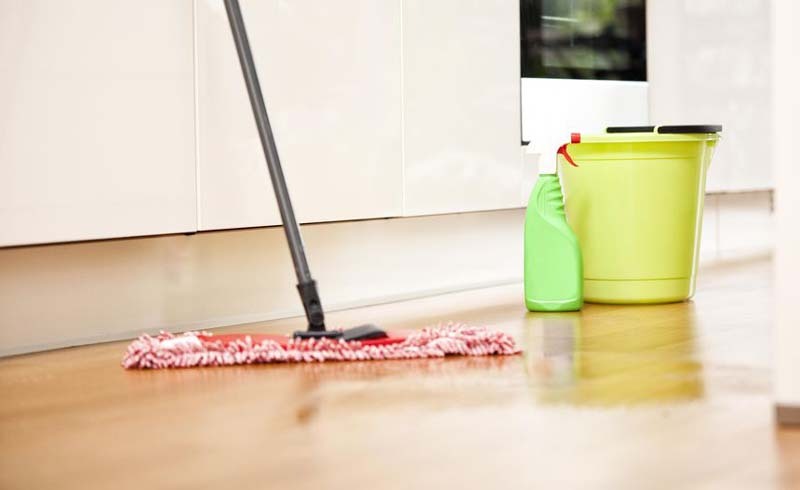 It's a misconception that housework has to take huge chunks of time to complete. 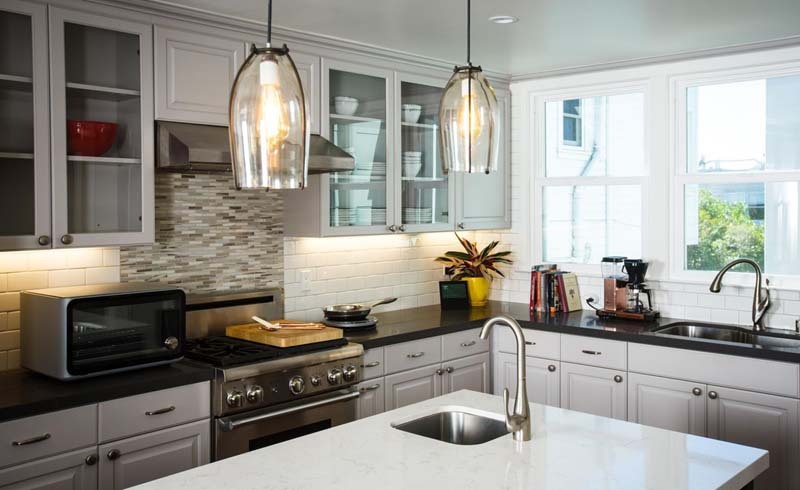 With a little planning, your kitchen can go slimy to shiny in just a few minutes. Here's how to get daily cleanings done in a flash. Got all of your supplies? Great. Now you can dash through the cleaning. Load the dishwasher. Remember, you don't need to rinse your dishes, just scrape them. Throw a wet sponge into your microwave for 1 minute on high. The steam from the sponge will loosen any gunk. Wipe down the sink and counters with the disinfectant wipes. Run a disinfectant wipe over the stovetop surface to remove any crumbs. Go back to your microwave and wipe down the inside with the sponge. Be careful. The sponge may still be hot. Mop and put away your cleaning supplies. These steps only work quickly if you don't let your kitchen get overwhelmingly gross in the first place. Be sure to wipe up spills as they happen throughout the day to avoid major dried-on messes that will take longer to clean.